Be a part of thriving Free Zones in Abu Dhabi as Abu Dhabi Airport Free Zone company formation opportunity welcomes the growth-seeking businesses! Abu Dhabi Airport Free Zone presents the finest collection of business facilities for its investors. Dubai Business Services exclusively helps businesses to establish their foot prints in Abu Dhabi free zones, offering state-of-the-art, reliable, cost-effective and high-quality company formation services in UAE. 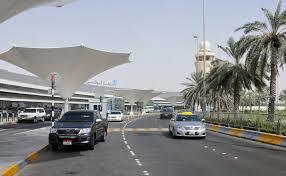 Why Abu Dhabi Airport Free Zone Company Formation? The Abu Dhabi Free Zones enhance the economic status of the UAE by welcoming both local and foreign investors and businesses. The Abu Dhabi Airport Free Zone is one of the free zones that gains a great deal of attention and activity from aviation business. With a number of business growth oriented facilities to offer, Abu Dhabi Airport Free Zone company formation is the consideration of an increasing number of businesses. The Abu Dhabi Airport Free Zone company formation falls into two categories; setting up a limited liability company and a branch company. Irrespective of the scale, Dubai Business Services caters the requirements of all the companies seeking to set up their business in Abu Dhabi Airport Free Zone Company. The registration process is lengthy and consists of lots of steps and legal documentation. Our team efficiently executes the entire process of company registration and incorporation in Abu Dhabi free zones on the behalf of our clients, successfully completing all documentation and steps. Hire our expert consultation and business set up services for Abu Dhabi Airport Free Zone company formation. Give us a call to set an instant appointment.